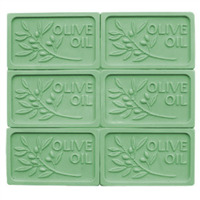 "Milky Way™ Oliva Soap Mold (MW 124) "
COMMENTS: A very nice mold to use for batch overflow excess. I typically wash in dishwasher and grab out of washer before the heated dry mode... but this one time I got distracted, oops! I wash my Milky Way molds all by hand now! LOL I highly recommend. 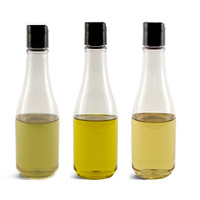 COMMENTS: I used this with the Olive Leaf and Fig soap recipe. It came right out of the mold, and the soap is beautiful! Very detailed, and makes my Italian father smile. 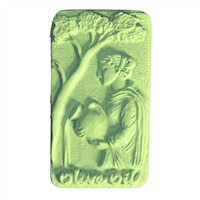 COMMENTS: I really like silicone molds for their soap releasing abilities. Most plastic molds take a little more time getting the soap out of the mold due to the stiffness of the plastic, but this mold worked great! The soap released easily and the design is intricate making a really beautiful soap. Plan to use this many more times.